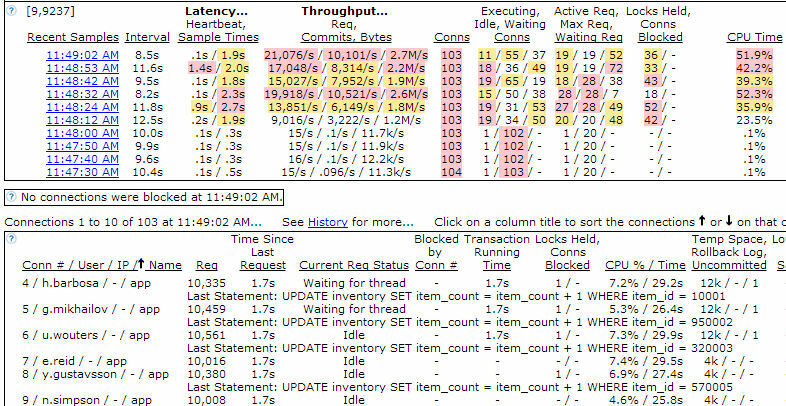 We have a version 12 DB on solaris that is now showing a higher than normal CPU. As in 60% versus the normal 5-10%. What can I do to diagnose this? I have looked at some of the system procedures and none of them seem to provide what I need. I want to see if there is a connection that is pinning the CPU or connection that has been open and executing a query or update for a long time. This is in a production environment so I don't want to bring down the DB.